Bauman served 18 months as leader of the state party, and was its first openly gay chair. Eric Bauman, embattled leader of one of the nation's most potent state political organizations, said he's stepping down as chairman of the California Democratic Party (CDP) following allegations of misconduct. 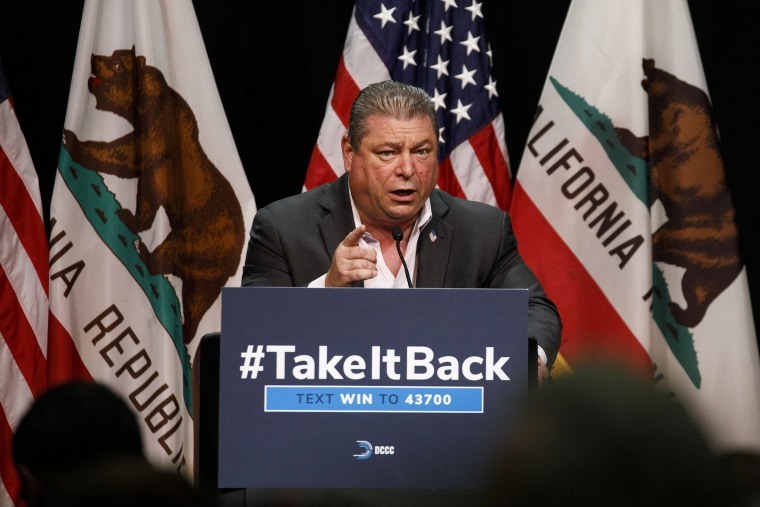 "It is in everyone’s best interest for me to resign my position as chair of the California Democratic Party," he announced in a statement Thursday afternoon. Bauman ascended to statewide leadership from a perch as head of the Los Angeles County arm of the party last year and ruled for what he described as "18 short months" as its first openly gay chairman. Party vice chairman Daraka Larimore-Hall raised the latest round of allegations last week and called on Bauman to resign. The party announced on Monday that Bauman was taking a leave of absence while an outside party investigated the claims. On Wednesday the Los Angeles Times published more detailed allegations connected to Larimore-Hall's initial reports, and Bauman said he'd seek treatment for alcohol abuse. Ten sources told the paper they witnessed the party leader uttering crude remarks, engaging in unwelcome physical contact, and making intimidating gestures. A woman who said she was working temporarily for the party during the election season told the Times that Bauman asked if she and another worker were sleeping together. "I felt really embarrassed, almost ashamed, and uncomfortable," Grace Leekley told the Times. On Thursday Gov.-elect Gavin Newsom called on Bauman to resign. "The Governor-elect is troubled by the very serious allegations that were reported last night," a spokesman said via email. "Sexual harassment shouldn’t be tolerated — no person or party, no matter how powerful, is above accountability," Newsom's representative said. Bauman said he would submit a formal letter of resignation "forthwith." The party leader did not confirm or deny the allegations, saying in a statement Wednesday that "I deeply regret if my behavior has caused pain to any of the outstanding individuals with whom I’ve had the privilege to work." On Thursday, Bauman described his short tenure was productive. “My dream was to create an environment at the CDP where the officers were partners, actual participants in the planning and operation of the Party; where delegates and staff could share their ideas and concerns; where outreach into key communities was not limited to the campaign cycle, but was a permanent year-round commitment ... " he stated. "“I leave knowing that in 18 short months we did all of that." The tumult comes at a time when the party is still riding high on the so-called "blue wave" that crested during November's midterm congressional election. It saw Orange County, once a cornerstone of the GOP, become wholly represented by Democrats in Congress.